I haven't got this book yet so cannot comment on its contents and am only now about to listen to the interview. In September 2014 Joshua Blakeney undertook extensive archival research at the National Diet Library in Japan. 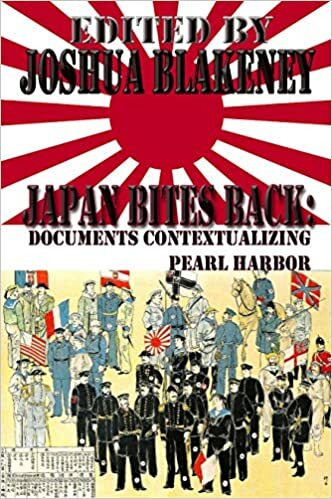 The documents he retrieved, along with the other essays in this book, provide the "Japanese side of the argument" about the origins of the "clash of civilizations" that was WWII in Asia. 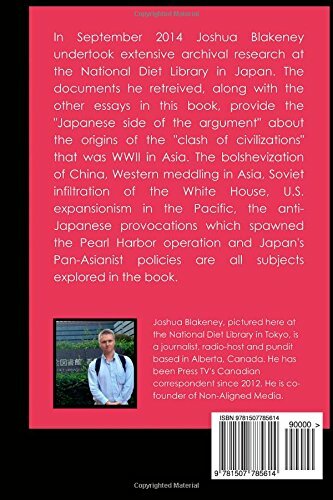 The bolshevization of China, Western meddling in Asia, Soviet infiltration of the White House, U.S. expansionism in the Pacific, the anti-Japanese provocations which spawned the Pearl Harbor operation and Japan's Pan-Asianist policies are all subjects explored in the book. Looks like a very interesting book. Thanks for sharing this info with us.